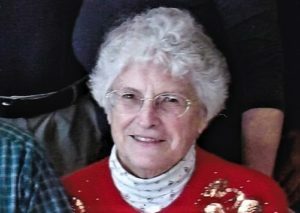 W hiteh all-Carol Anne (Manell) Senecal, 85 of Whitehall New York passed away at her home in Whitehall on April 11, 2019. Carol was born on February 18, 1934 in Whitehall, NY. The daughter of the late Joseph Eugene Manell and Mary Louise (Robetor). She graduated from Whitehall High School in 1951, and married the love of her life, Wayne Robert Senecal on August 1, 1954. Michael Senecal, Karen LeMin and numerous grandchildren, nieces and nephews. She was pre-deceased by one brother, Alan Bruce Manell, and her parents Joe and Louise Manell. Carol was one of the first female school bus drivers for the Whitehall School District and enjoyed training new drivers. She was Whitehall Town Clerk and Washington County Archivist for many years. For the last 18 years Carol was Whitehall Village and Town Historian and was the curator of the Historical Society Whitehall Research Library. Rico, Panama, Columbia, Ireland and several islands in the Caribbean.